Many people want to gain trust or support in business and throughout life, but the true skill is doing so in a charming fashion! 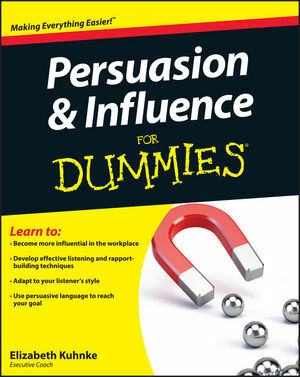 Whether you're convincing the boss about your much-deserved promotion or a busy restaurateur to offer a better table, the power of persuasion can help improve and increase your successes. Elizabeth Kuhnke, author of the bestselling Body Language For Dummies, guides the reader through easy-to-implement techniques that can turn a timid person into someone bursting with self confidence and the ability to influence. Elizabeth Kuhnke is an Executive Coach and founder of Kuhnke Communication. She is also the author of the popular Body Language For Dummies.